This week, I decided to show some love for Etsy shops that have items from the Philippines. I was surprised to see so many beautiful things from my culture. I haven't visited yet, so the plan is to finally go next year so I can meet my aunts, uncles and cousins. Hope you like these shops! These images are from Boston-based Photographer David Winthrop and his shop winthimage. 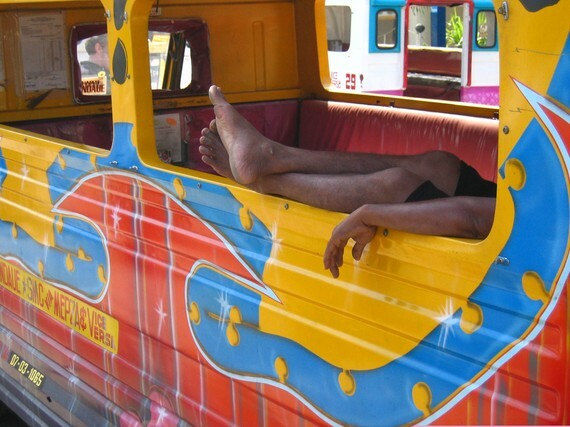 He travels the world and captures everyday life in the Philippines, Hong Kong and the U.S. The top photo is of Philippine nuns and the one below is of a very colorful bus at a rest stop. This shop, pabili, is very cool. 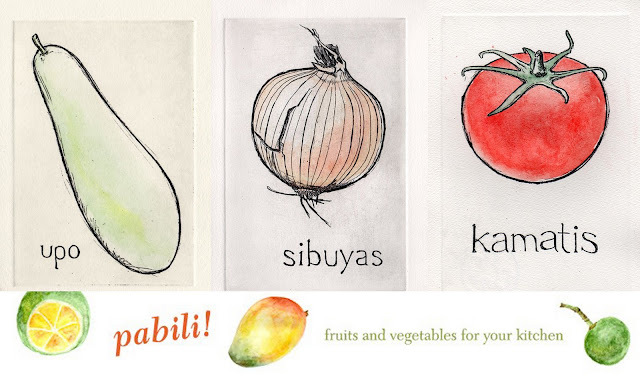 Niki is currently working on a series of 18 hand painted prints depicting vegetables mentioned in the Filipino folk song, Bahay Kubo (nipa hut). I love these prints, and I may have a perfect spot for one of them in my mom's kitchen. 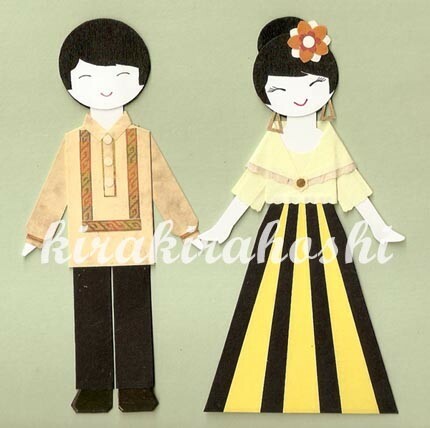 These paper dolls from Kirakirahoshi are so cute. The dolls are all wearing variations of traditional Filipino costumes. 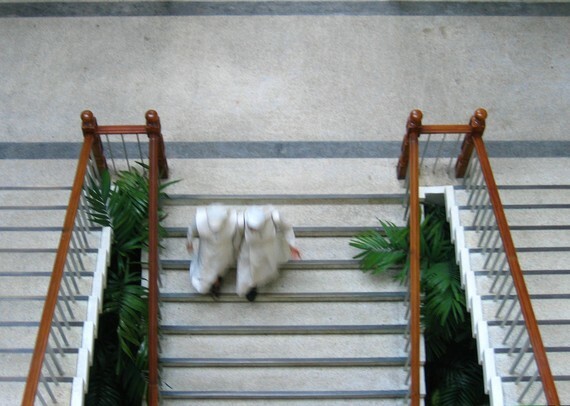 The boy is wearing a Barong Tagalog, a formal dress shirt, while the girls are wearing a Maria Clara gown with a panuelo (a matching neck scarf) over the shoulders. 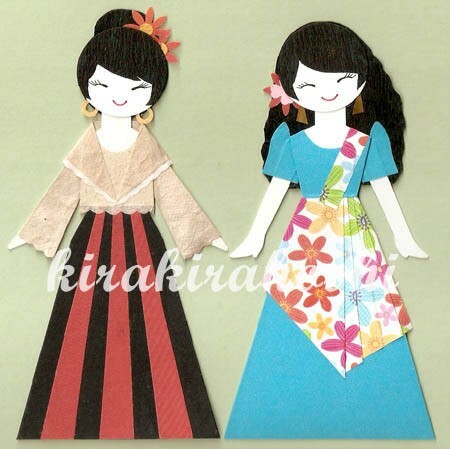 Kirakirahoshi also sells paper dolls wearing traditional costumes from Scotland, Korea, India and China. Juanita's Adventures sells vintage maps and stamps handcrafted into jewelry. 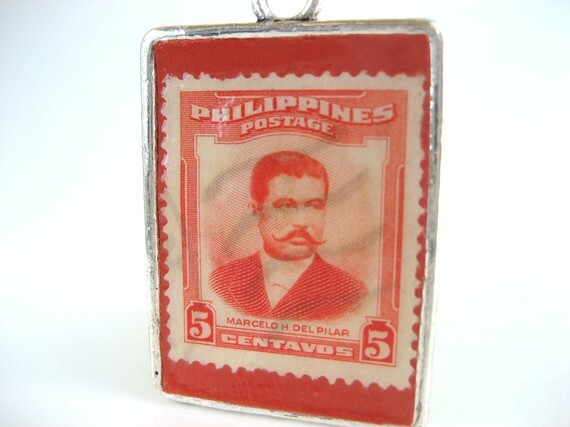 The stamp above is of Marcelo Hilario del Pilar y Gatmaitan, a writer credited with bringing Freemasonry to the Philippines. He is considered one of the most influential Filipino intellectuals. This particular stamp was made into a necklace.